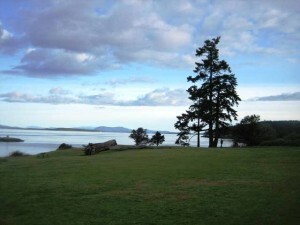 We’re staying home for Memorial Day, so we took off last weekend instead, for a short break on San Juan Island. This is where we stayed. Except – here’s how it looks now. Curious as to what happened to that beautiful house? Hollywood happened. 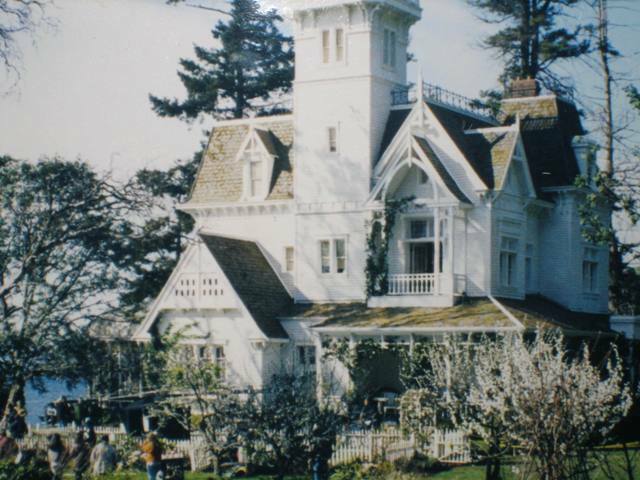 The house in the picture above was only a set, erected at San Juan County Park for the movie Practical Magic. According to the park ranger, because the site has archaeological significance and could not be disturbed, the film crew laid steel plates over that grassy field and built the entire Owens home and garden over them. 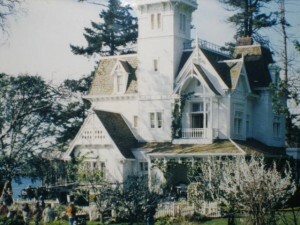 The ranger also said the house appeared in the film for a total of five minutes. The crew stapled magnolia flowers in the madrone, which is shown standing at the left of the studio photo and lying down in my photo. Now I want to see the film again. We’d been to the park many times, it was a favorite camping spot for Tom’s family years ago and quickly became mine as well. 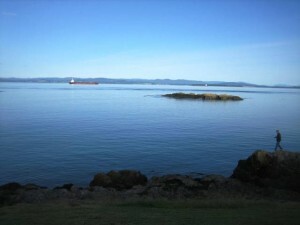 We dived here a couple of times. Though the park was substantially the same as we remembered, a couple of things have changed in the intervening years. 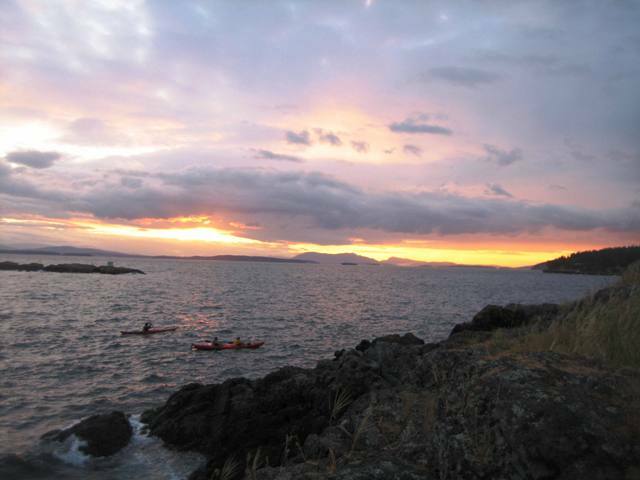 The rocky islet just off the point is now a National Wildlife Refuge, home to a busy flock of oystercatchers. And instead of a winding trail to the beach, a set of steps gives instant access. The view is just as wonderful as ever. 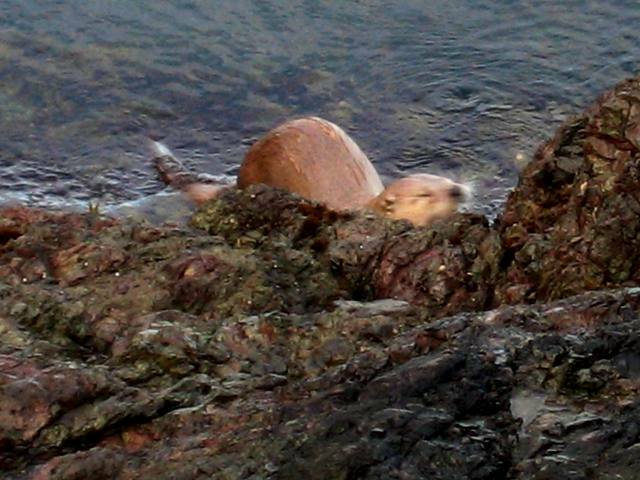 Otters still feed along the rocky shore. 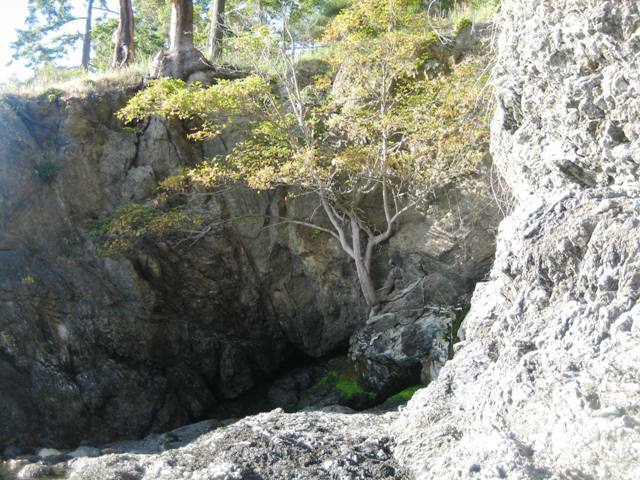 Trees still cling to crevices in the many small coves. Kayakers still come to watch the sunset. Previous Post:Can We Have Tidal Energy without Fish Kill? Interesting! Hey, you avoided the crowds by not going there this weekend. Smart! We are so lucky to live in such a beautiful area.